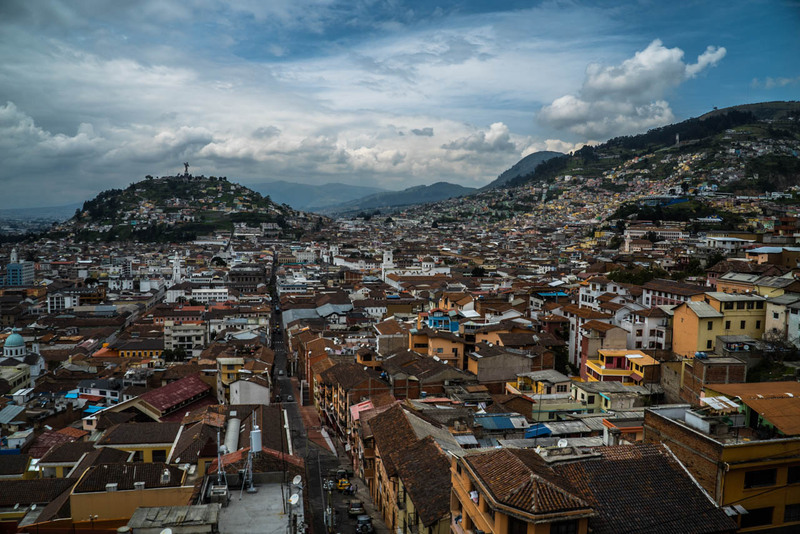 QUITO, the capital of Ecuador, sits at 9350 feet above sea level. It’s the highest capital city in the world and is also the closest to the equator (perhaps unsurprisingly, Ecuador is Spanish for equator). If this isn’t impressive enough it was one of the first two locations in 1978 (along with Krakow) to be named a UNESCO World Cultural Heritage Site, leading to it being the one of the largest and best-preserved historical centers in the Americas. If you find yourself in the area, these are some don’t miss things to do while you’re there. Visit the “middle of the world”: Ciudad Mitad del Mundo. In 1936, Luis Tufino sponsored a 10 metre high monument on the equator to respect the 200th anniversary of the French Geodesic Mission that measured the shape of the earth. In 1979 this larger monument of the same design was built – it stands at 30 metres high, with a 5-ton bronze globe balancing on the line of the equator. It has an observation deck and a small museum inside with some fun facts. Although this monument does not mark latitude 0-0-0 exactly, the accurate equator line runs about 240 meters north of it. 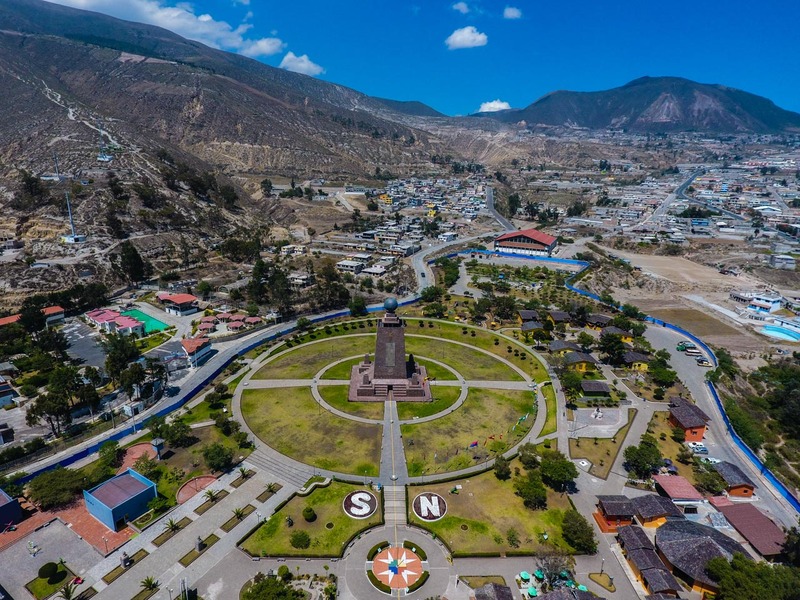 This monument is about 30 minutes from Quito and well worth the day trip. Close by is a very nice lunch spot at El Crater that sits on Pululahua Volcanos edge. Middle of the WorldQuito, EcuadorA short drive from Quito , about 1 hour. This monumen marks latidude 0. The middle of the world! You can access the monement and go to the top. There is also a small museum inside that shows some fun facts and hands on experiments. Close by is a other museum where you can learn more about the tradition of the culture. Stay at the Sacha Ji Wellness Hotel in San Pablo Lake. The Sacha Ji Wellness Hotel has one of the most amazing views I have ever seen, and it’s the definition of green living: The hotel and restaurant are all run by natural energy. Their water is gathered from rainstorms and the electricity comes from solar panels. They offer a wide range of activities, from daily excursions like horse riding to relaxing yoga classes. The restaurant is a perfect spot for lunch – delicious food and an incredible view looking over the volcano and San Pablo Lake. Marvel at the La Compania De Jesus Church (Church of the Society of Jesus). 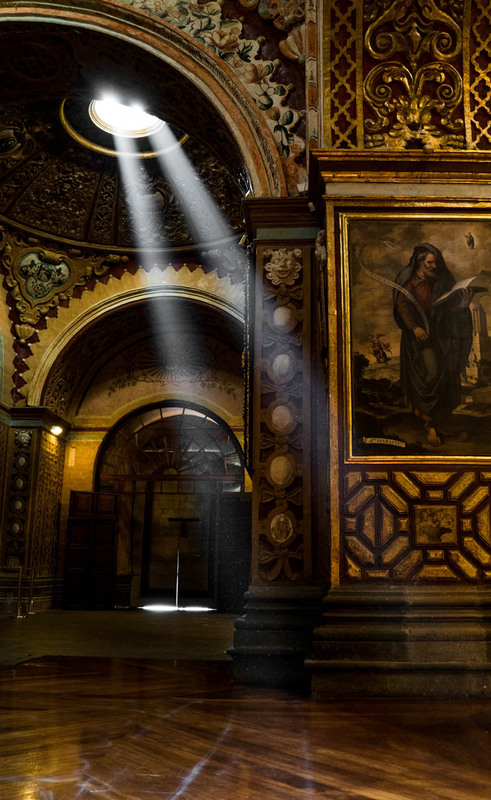 Located in Old town Quito, this stunning church was built entirely of volcanic rock and covered in gold leaf. The great alter was crafted by sculptor and painter Bernardo De Legerda. 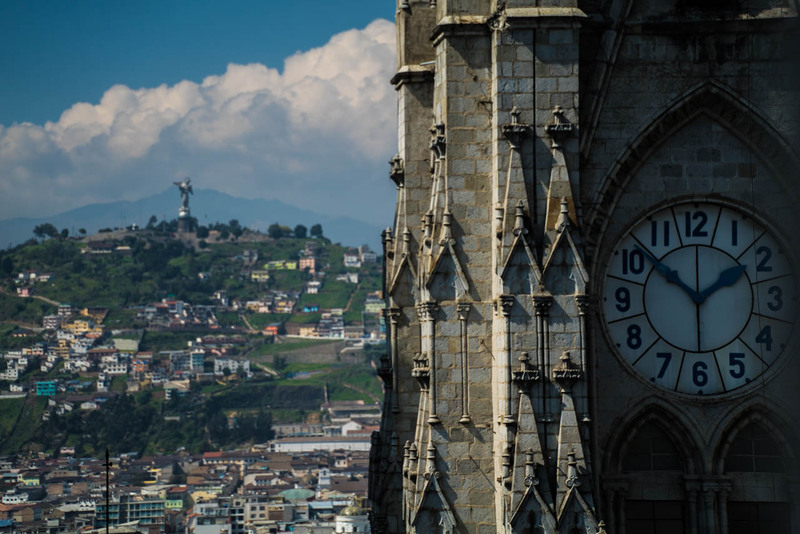 Beginning in 1605, this work of art took over 160 years to finish and contains the sculptures of the four religious communities that evangelized Quito. The temple of Compania was built by hand and carved out of fine sheets of 23-Karat gold. Give yourelf plenty of time to take in the amazing details of the building. Church of the Society of JesusQuito, EcuadorThis church is stunning. Right next to plaza grande square in old town, Quito. This church is covered with amazing art work and the design is stunning. You can spend a few hours in here looking at everything. Reccomended top place to visit when I’m Quito. Go shopping at the San Francisco Market. Food is a huge part of Quito life. The San Francisco Market is located in the heart of old town with bustling, picturesque streets packed with small stores and food stalls filled with local meats, fruits, and vegetables. 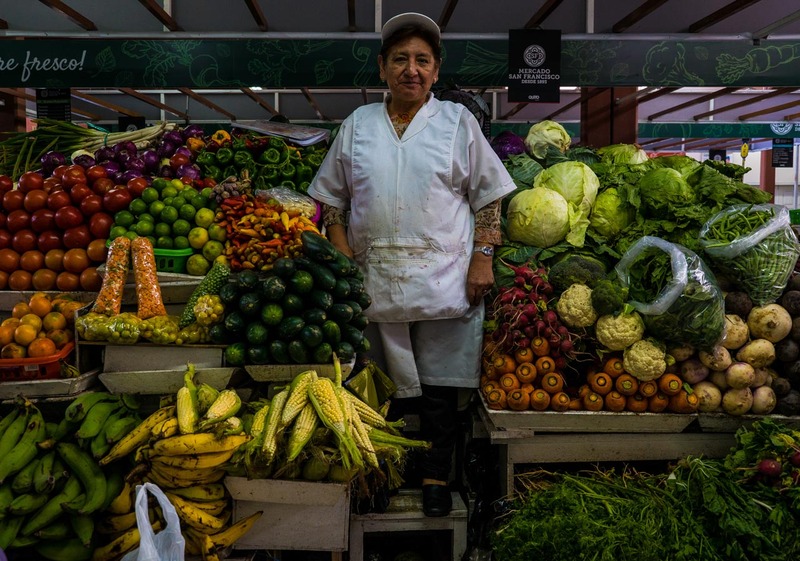 Potatoes are one of Ecuador’s most exported vegetables with over 240 different varieties. Sit down inside the market and enjoy a local dish such as Locro De Papa (an Ecuadorian potato soup). Close to the market is Plaza De San Francisco where locals come down to attend church. Get high above the city on the Teleferico Cable Cart. Once you’ve explored the city on foot, it’s time to try another perspective – from above. 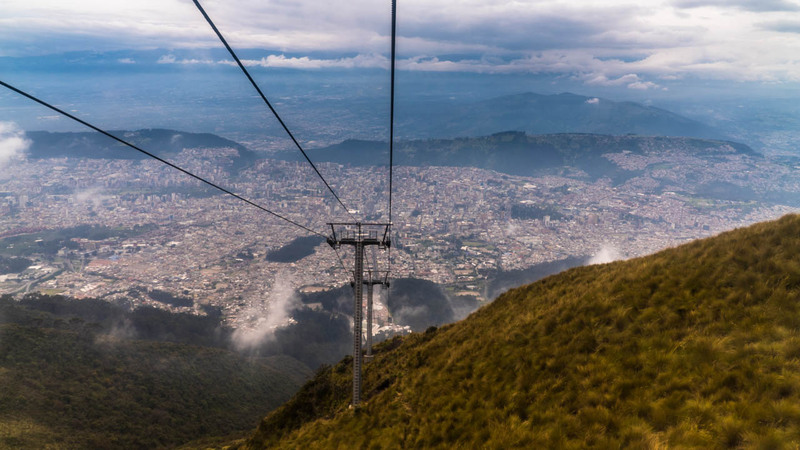 This cable cart offers views looking over the city from up to 4,052 meters. One thing to keep in mind is that at this height the air is thin and you may feel it a little in your chest. If you experience this, take it slow and use this tip from a local: “Eat chocolate and it will make you feel better.” This cable cart runs about 2.5km and takes about 15 minutes from the bottom to the top, giving you lots of time to take in the view. It is also best to go early because lines fill up quickly. From the top there are more trails to explore if you want to go up even higher. Take a day trip out of the city to Cotopaxi Volcano. 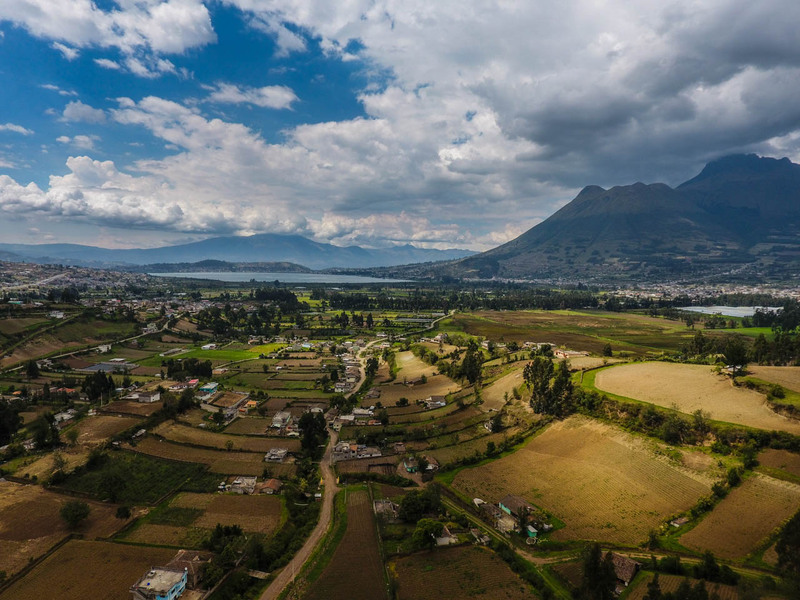 If you want to see more of the country outside of Quito, taking a day trip to Cotopaxi Volcano is the answer. 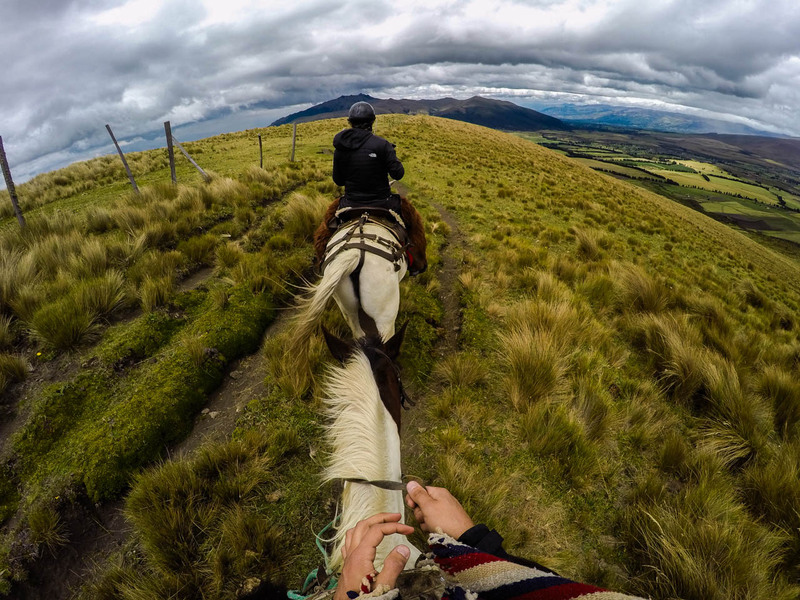 Spend a day or a whole weekend visiting Tierra Del Volcan Lodge where they offer a wide variety of activities such as horse riding, mountain biking, climbing and hiking. They offer exceptional experiences that will leave you remembering your visit. There are day activities as well as overnight tours, where you can spend a night tenting under the stars. They offer different types of tours that suit your individual needs. This place is a perfect getaway to experience the countryside. Cotopaxi volcanoPichincha, EcuadorTierra deal volcan Is a place where you can visit for the day or visit for multiple nights. They offer a wide variety of activities such as hiking, horseback riding, mountain biking, and climbing. Welcomes all ages and is perfect for a get away. This place will blow your mind with the views. When you leave you will definitly get that “wow” reaction. You can do horse back riding for 1-4 hours up to the volcano ranging from 20-40 dollars. The views are amazing, highly reccomend it. About 1.5 hour drive form Quito. Climb up the Basílica del Voto Nacional. 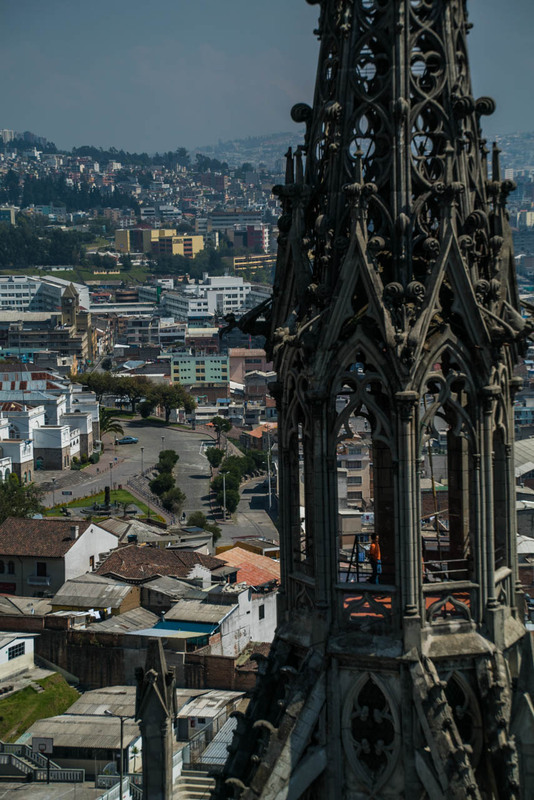 If you spend time in Quito, this tower will stand out and you can even access it for a small price. The construction of the Basilica began breaking ground in 1892. Most would not notice, but it is still not fully completed. If you are a thrill-seeker, head up to the tower but watch your step on the insanely steep stairs. Not only can you enjoy the beautiful architecture throughout the whole building, you also get a fantastic view looking over the city. Eat at several awesome restaurants. Hotel El CraterDistrito Metropolitano de Quito, EcuadorThis place has an amazing view surrounding a crater. The food is amazing and definitly worth the trip. Very close to the middle of the world. Easy to get to by car with small hikes around the area. Heladería Dulce PlacerQuito, EcuadorThis place has the best icecream in Quito. Located in La Ronda area of the old town. They have over 20 flavours and some flavours that might suprise you like “vodka” flavour! Definitly worth it if you are strolling around La Ronda. Only 2 dollars for a cone it is very good! Let Quito unfold before your eyes in the Plaza de la Indepencia.